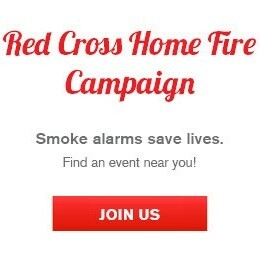 Red Cross Orange County is looking for local heroes! The American Red Cross serving Orange County is currently seeking nominations for their 2018 Heroes Luncheon, which recognizes members of the county who have shown courage, dedication, and character through acts of heroism and kindness. Deadline for nominations is March 5. Nominees can be neighbors, co-workers, friends, or family members. You can help identify our local community heroes by completing our online nomination form and by spreading the word about this honor! Animal Welfare Hero: This award honors an individual who has gone above and beyond for the care and well-being of animals in traumatic situations. It may also be given to an animal that has protected a human in a time of need. Community Hero: This award honors an ordinary citizen (adult) who used life-saving skills (such as CPR, water rescue, or first aid) to assist or save the life of another or a person whose actions have made a significant contribution toward the betterment of his or her community. Corporate Hero: This award honors companies that devote part of their time, energy and or funding to make a significant contribution toward the betterment of the community. First Responder Hero: This award honors a professional first responder, such as a police officer, deputy sheriff, firefighter, search and rescue team member, or 911 dispatcher, whose life-saving actions or service to the community has gone above and beyond the call of duty. Give Life Hero: This award honors an individual who has played a significant role in efforts to promote and build the community’s lifesaving blood supply or who has been a part of scientific advancements to the biomedical community. Youth Hero (under 18): This award honors an ordinary citizen (youth) who used life-saving skills (such as CPR, water rescue, or first aid) to assist or save the life of another or a person whose actions have made a significant contribution toward the betterment of his or her community. Service to the Armed Forces Hero: This award honors an individual who has provided exceptional support to armed forces service members, veterans, or their families. This award also may also be given to a member of our armed forces (active, reserve, national guard, retired, commissioned, or non-commissioned) whose life-saving actions or service to the community went above and beyond the call of duty. The deadline to submit nominations is Monday, March 5, 2018. Any of these categories can be awarded as a posthumous honor. A committee of local community leaders will select the 2018 Orange County Hero Award recipients based on the degree to which nominees’ acts of heroism uphold the values of the American Red Cross and leave a lasting and positive impact on the residents of Orange County. Heroes may not be selected in all categories. Selected heroes will be honored at the 2018 American Red Cross serving Orange County Heroes Luncheon. This year’s event, hosted by KTLA’s Doug Kolk, will take place on Thursday, May 3, 2018 at Hotel Irvine. All nominees must work or reside in Orange County. Their heroic actions may have occurred elsewhere. The heroic acts must be either an ongoing commitment to the community for more than one year or have occurred between January 1, 2017 and January 31, 2018. Nominations must be received no later than Monday, March 5, 2018. Visit redcross.org/ocheroes or call Guinevere Endter at (714) 481-5411 for more details on each of the 2018 Heroes Award categories, to access the online nomination form, and for information on how to purchase tickets and/or help sponsor this important event. Submit your nomination by March 5, 2018 either online, by email, or mail. The process is quick and simple. Winners will be honored with tributes to their story and recognition at the Third Annual Heroes Luncheon. Again, if you know someone who deserves to be recognized, please do take a moment to nominate them! You can see stories of last year’s award winners on our YouTube page here: http://bit.ly/2pvRWZC.